Pauline Mae (Sorenson) Lovitt, 98 years of age, passed away Saturday, August 25, 2018. She was born May 2, 1920 near Crab Orchard, Nebraska to Andrew and Carrie (Strawder) Sorenson. She attended rural country school through the eighth grade and Lewiston High School. Pauline lived her entire life in the Crab Orchard area. She married Milton Lovitt on August 15, 1941 in Marysville, Kansas. Pauline worked at the Campbell's Soup Company in Tecumseh for 25 years. She was a devoted wife and mother. Pauline was a Charter Gold Star member of the Crab Orchard American Legion Auxiliary since 1949. She loved cooking and baking for her family. Baking pies was her specialty. Her grandchildren and great-grandchildren always wanted to go to "Grandma Pauline's." She kept up on all the activities of the great-grandchildren and supported all their events. Pauline enjoyed planting garden and raising flowers. Kitchen Klatter magazine was a favorite. She kept up with world news and events in the Time magazine and was always anxious to watch Nebraska volleyball. 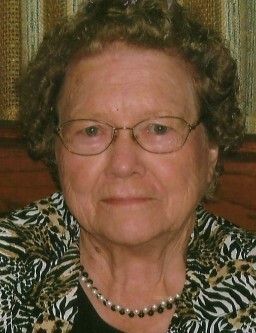 Pauline is survived by her sons, Fred Lovitt and wife Nancy and Gary Lovitt both of Crab Orchard; six grandchildren, Shari Lovitt of Bartlett, Kelli Lovitt of Filley, Andrew Lovitt and wife Susie of Kerrville, TX, Nicole Schneider and husband Bryan of Lincoln, Jeremy Lovitt and wife Julie and Jason Lovitt and wife Amber of Beatrice; eight great-grandchildren, Brea, McGinness, Ava, Montgomery, Cooper, Brooklyn, Kipton and Lainie and several step-great-grandchildren, sister-in-law, Mary Lucille Lovitt of Crab Orchard and numerous nieces and nephews. She was preceded in death by her parents; step-mother, Jesse Sorenson, husband Milton on March 17, 1986; daughter-in-law, Andrea Lovitt; four brothers, Roscoe, Raymond, Leland and Freddie and three sisters, Bessie Jeffery, Anne Sikyta and Dorothy Brittain. Funeral services will be held at 10:30 a.m. Thursday, August 30, 2018 at the Wherry Mortuary in Tecumseh, Nebraska with Rev. Ken Tubbesing officiating. Closed casket visitation will be held from 9:00 a.m. to 8:00 p.m. Wednesday, August 29, 2018 at the Wherry Mortuary in Tecumseh, Nebraska. Interment will be in the Vesta Cemetery, rural Tecumseh, Nebraska.